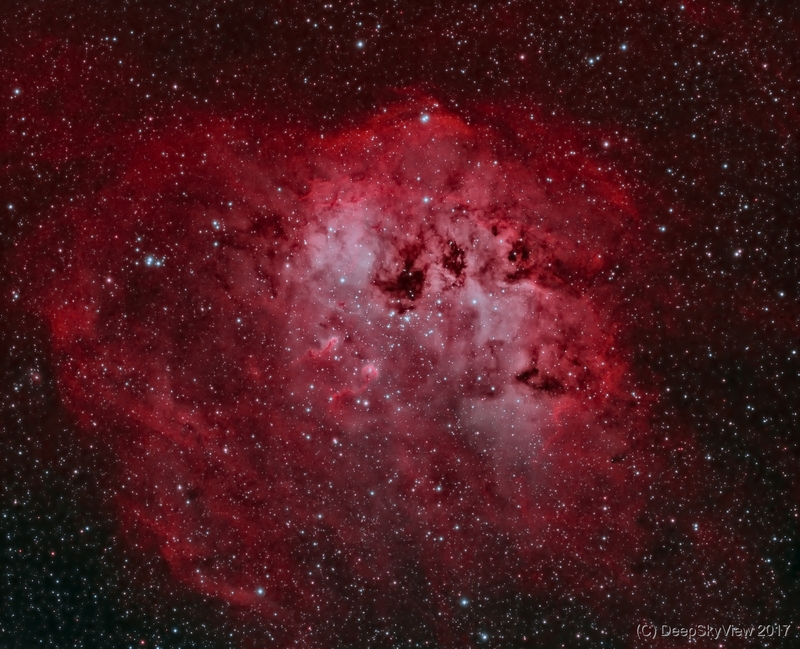 The Tadpole Nebula, Sh2-236, now in a bi-color HO narrowband image. You can easily find the two tadpoles that give rise to the name of this nebula. It belongs to one big emission complex together with the Flaming Star Nebula. Composed from over 9 hours of 10 min exposures with the Baader Ha and OIII filters from my backyard. See also the mono version.